On Monday, America celebrates Labor Day, meant to celebrate the achievements of workers and unions, mainly for their fight for the eight-hour day (not to be confused with the International Workers&apos; Day on May 1). This celebration has puzzled me for quite some time now.Why are we celebrating organizations that not only had virtually nothing to do with the improvement of society, but actually made it worse? To me, celebrating "labor" sounds more like a celebration of misery, as portrayed in the plays in Ayn Rand&apos;s Anthem. What should be celebrated is not our hardships, but what alleviates them – not organizations that pretend to care about an illusive common good they don&apos;t even improve, but individuals whose individual contributions help improve society as a whole. What should be celebrated is capitalism itself. Yes, I dared to use the dirty "C" word, whose popularity is unjustifiably waning. I say unjustifiably because rampant propaganda accusing capitalism of economic crises is just plain wrong. I also say unjustifiably because blaming capitalism for wrongs it&apos;s not even guilty of is biting the hand that feeds you. Imagine for a moment a world without capitalism – a world where private innovation isn&apos;t recognized, where private property is in limbo, and where only the strongest can survive. This means that people with genetic defects or those who were involved in serious accidents won&apos;t be able to function as glasses, guide dogs, white canes, wheelchairs and prosthesis wouldn&apos;t exist. This means we would starve during winters as free trade, refrigeration, transportation (sea, air, land), conservation with smoke or salt, agriculture and animal husbandry would either not exist or be too primitive to profit most people. This means we would still be living in caves or in trees since we wouldn&apos;t be able to build houses by the lack of knowledge of metal casting, masonry, mining and mathematics. This means that no one would dare accumulate too much wealth for fear of being robbed by anyone, meaning no one would invest in better means to produce and improve our lives. 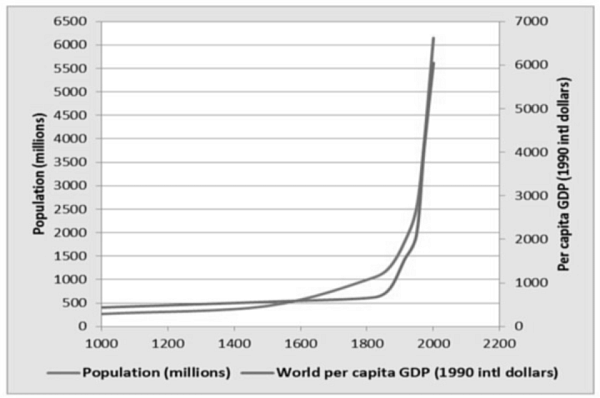 In short, this means we would live in what Marx called the Golden Age of workers: mostly self-sufficient countries vulnerable to famines, workers who have to produce everything by themselves since they barely have access to cheaper products, populations increasing and decreasing as predicted by Malthus and a stagnation of their wealth. So this Labor Day, don&apos;t celebrate unions, celebrate the system that has been beneficial, albeit unequally, to all of humanity. Celebrate both those who imagined mass production and those who helped making it a reality, and sometimes even improve it. Celebrate the human mind, the only thing that lets us strive and that distinguishes us from other animals.